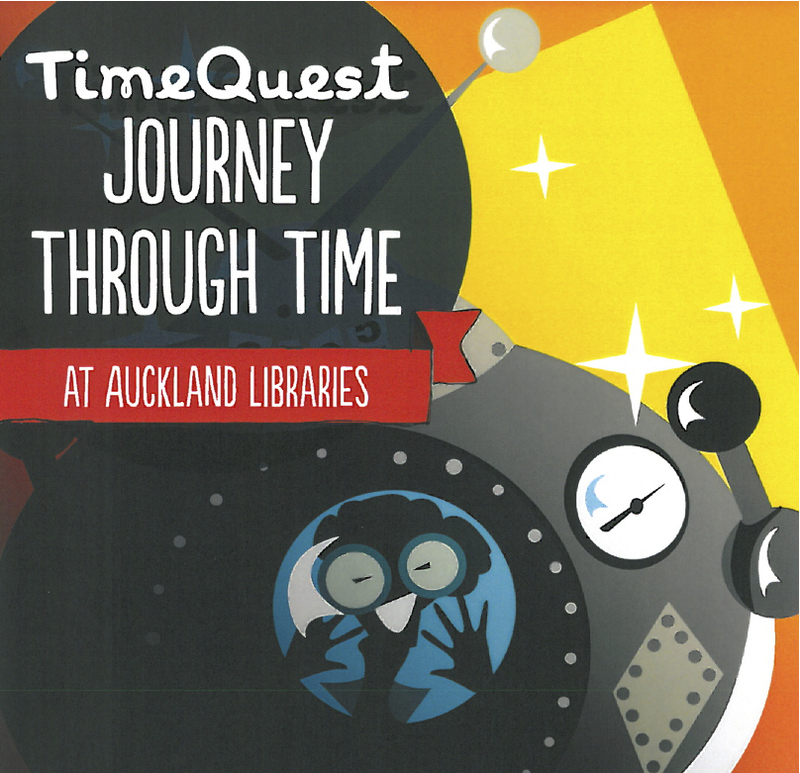 In part one of this blog series, I took a look at TimeQuest, the citywide programme which I devised for Auckland Libraries’ school holiday programmes – an opportunity to embed storytelling, adventure, and literacy into the life of an entire city. The TimeQuest team created a simple storyline which all Auckland’s library branches could use as a leaping-off point for their own activities over the holidays. We might have been imposing a half-dozen lines of text, but there’s a real difference between this imposition and the various ‘One Book, One City’ programmes which have gained ground around the world. 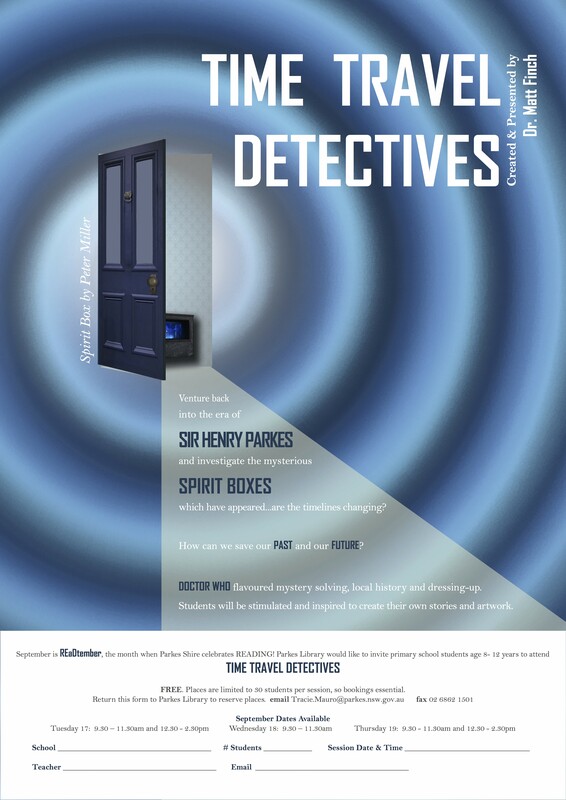 I wrote the recent Auckland Libraries school holiday programme TimeQuest as a love letter to the city – a science fiction romance with time-travelling heroes using libraries to save the heritage of New Zealand’s largest conurbation. Creating the activity, I thought about what I might go back in time to save from Auckland Libraries. My experience with both the library system and the city itself was intense, challenging, and ultimately rewarding – but along the journey, there were days where I might not have been sad to see Auckland blown into the time vortex! Even in those toughest times, I found things to make me cherish the city. Places and people and even items on the library shelves. In one such case, it wasn’t a book, but a song. A song which belongs to pop culture in general, and Auckland in particular: that Australasian underdog which is still only slowly recognising how awesome it is and how much greater it could yet be. This song, set on Takapuna Beach, alludes to the death of songwriter Don McGlashan’s brother at the age of 15. In it you find pop, melancholy, honesty. It belongs to specifc people, and specific places; it speaks of birthday parties and city politics, but also reaches out to touch something beyond everyday life. In four minutes, it gives me everything I love in a piece of art. So…if you were on Auckland’s TimeQuest, saving your cultural heritage in the face of apocalypse, what one item would you rescue from your library? Her plan: to send you back in time to recover the best books, art, and objects from New Zealand’s past. TimeQuest – Raid the past to save the future.